The Nike Golf Method Core putter line has built a following among players, gaining good reviews for the aluminum face insert with polymer filled grooves. Building on that, the new Method Core Weighted putter adds fixed weights in the sole which both lowers the center of gravity and pushes it further from the face. 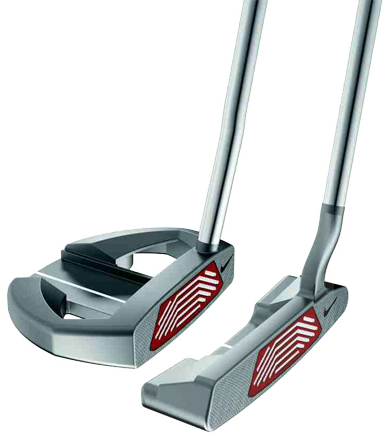 The new putter shares the Method basic design of a milled face and polymer filler grooves. The five-models (4 blades and 1 mallet) of the Method Core Weighted putter ship to shops next week and will be available for $140.